(1) The school is part of a special cultural programme initiated by HH Sheikh Mohammed bin Zayed Al Nahyan, Crown Prince of Abu Dhabi, with the Embassy of Japan that provides for the shared education of Japanese and Emirati students within the school. 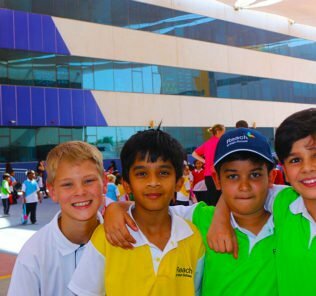 4 Emirati students join the school role each year. 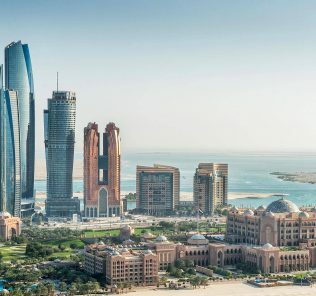 There are weaknesses in the school - but they are significantly outweighed by strengths that flow from the extraordinary cultural and political investment in the school made by the Abu Dhabi and Japanese governments. The opportunities for both Japanese and Emirati students are many and profound. In particular, for Emirati students lucky enough to secure a place at the school, the seamless transition to higher education in Japan provides, particularly for gifted young linguists, the chance for an international education that will prove irresistible to many prospective parents. Recommended. 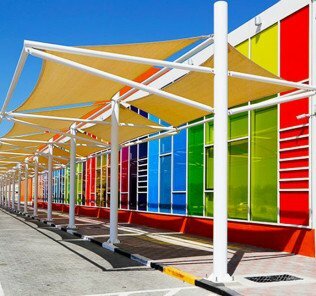 The Japanese School in Abu Dhabi, also known as the Abu Dhabi Japanese School, provides an ADEC “High Performing A3 Good School” certified FS1/2 – Year 9 education to children between the ages of 3 years and 15. Prospective parents should note that education is compulsory in Japan only between the ages of 6 and 15, with schooling divided between elementary provision between the ages of 6 years and 12 years, and Junior High/ Lower Secondary provision between the ages of 12 years and 15 years. This division does not fit easily in our tables and to compensate we have provided extra clarification. 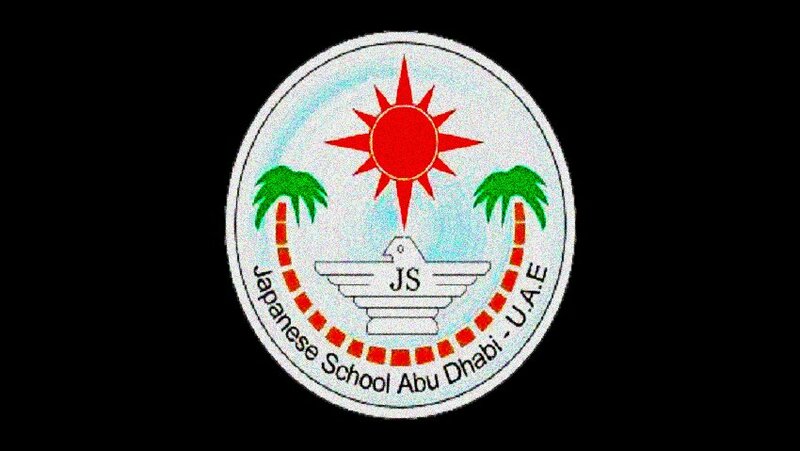 The Japanese School in Abu Dhabi (ADJS) is one of only two Japanese schools in the UAE, the other being the Japanese School in Dubai. Both schools offer a curriculum in strict conformity with the 文部科学省 Monbu-kagaku-shō curriculum certified by the Japanese Ministry of Education, Culture, Sports, Science and Technology [MEXT]. 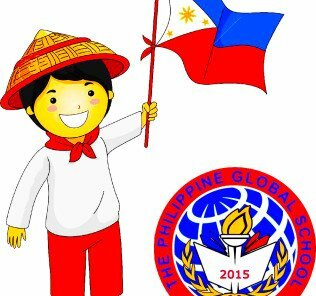 The strict alignment off teaching with the Japanese curriculum recognises that many Japanese students return to Japan at some point during Junior High, and the aim of the school is that this takes place as seamlessly as practicable. The curriculum targets provision in Japanese language, culture and history; Mathematics; Science (Including Life Science & Domestic Science); Languages (English & Arabic); the humanities and commerce (including geography, history, general studies, moral education and social studies); art; music; and, Physical Education (P.E.). 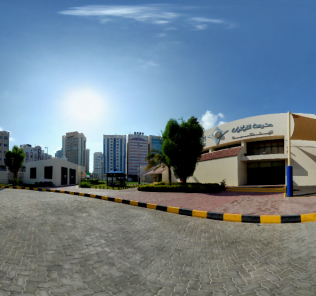 ADJS is one of the oldest schools in the UAE, tracing its routes to a study by the Japanese Association of Abu Dhabi in 1976 to establish schooling for its Japanese children. 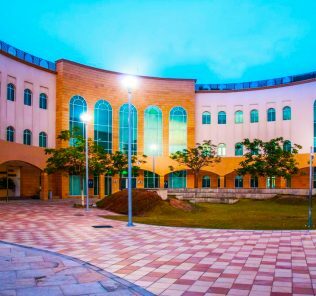 The school was formally established in 1978 with the inauguration of the Abu Dhabi Japanese School Council and two teachers arriving from Japan to teach a two class curriculum to 13 students. 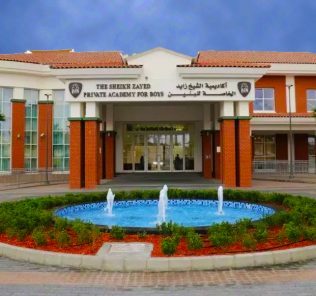 In 2009, the school started teaching Arabic, Islamic Studies and Social Studies to its Emirati students in order to help them acquire tri-lingual knowledge and learn about different cultures. 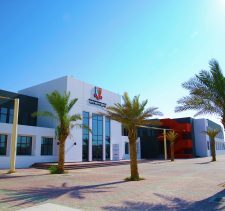 The school relocated to its current site in Al Bateen in 2012, taking over the former Um Habibah School building, a vacant public school building accommodating 14 classrooms and other specialized rooms. 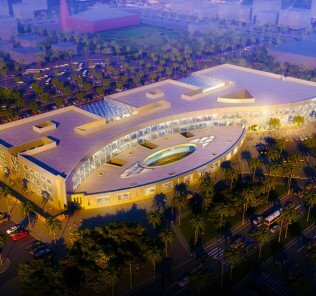 The school was a gift by the Abu Dhabi government after the intervention of HH President Sheikh Khalifa bin Zayed Al Nahyan, and HH General Sheikh Mohammed bin Zayed Al Nahayan, Abu Dhabi Crown Prince, Deputy Supreme Commander of the UAE Armed Forces and Chairman of ADEC. The school was inaugurated by H.E Dr. Mugheer Khamis Al Khaili, Director General of Abu Dhabi Education Council (ADEC) and H.E. Tatsuo Watanabe, Japanese Ambassador in the UAE. The agreement includes provision for Emirati children to be taught at the school and today Emirati students make up 25% of the school’s role. 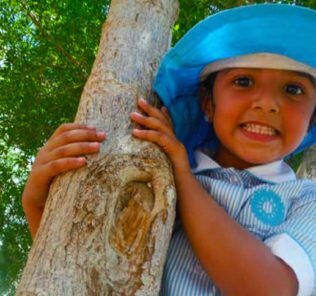 This joint initiative is a stand-out, exceptional feature of the school and we recommend that Emirati parents, particularly of linguistically talented children, take a view on the benefits of the significant cross-cultural opportunities presented by the school, subject to availability of places. Emirati students benefit from a dedicated team of resource teachers, funded by a Japanese non‐profit organisation, providing high quality, in‐class academic and language support. Senior staff also provide careful guidance for parents of Emirati students who decide to continue their education in Japan. 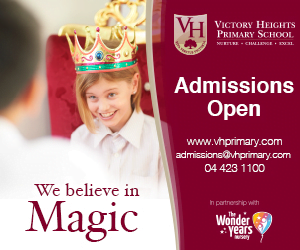 For prospective Emirati parents, more information can be found here. 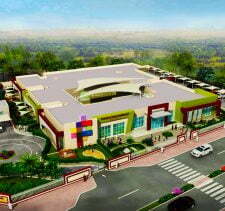 The school, like its counterpart in Dubai, strictly follows the Monbukagakusho curriculum. It is extremely difficult to evaluate the schooling comparatively, as the Western and Japanese systems of education weight skills, knowledge, facilities and development very differently. Critique of the school stems in part from an area outside its control – the Japanese curriculum does not include independent lessons in ICT. This has knock-on impacts because technology in alternative curricular has emerged as a bedrock lever to share knowledge between subjects and build critical thinking. The weakness of ICT provision within the 文部科学省 Monbu-kagaku-shō curriculum significantly impedes children’s progress in these areas. Our recommendation is that parents invest in external ICT lessons in order to balance this. This said, ADEC, rightly, is now insisting that, notwithstanding the limitations of the Japanese curriculum, as a school operating in Dubai with responsibility for its Emirati students, the school begins to significantly invest in ICT and plan for its use across the curriculum. 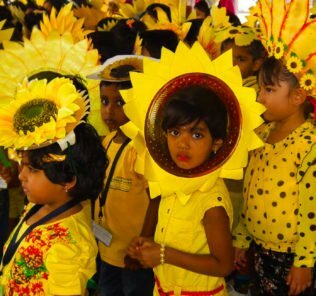 Like its Dubai counterpart, there is currently no child protection policy. We think this is a failure and needs to be addressed. 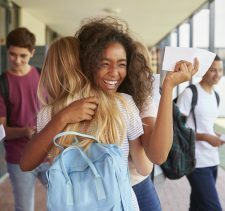 In many schools historically, a relaxed approach to child protection based on the assumption that “it will not happen here” has proven to be complacent and children, the school itself and parents need to have these policies in place. 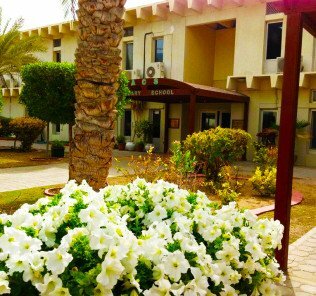 As an old Arabic school, there is considerable warmth – and the grounds are filled with established flowers and plants that come with the school’s age – something newer school’s cannot replicate. The small role, however, does mean the school is airy. This is better than its being overcrowded! This said, like its Dubai counterpart, there is need for investment. Here ADEC inspectors identify a lack of shade in the playground and inadequate outdoor play areas for KG students. Both are important failures that do need addressing. Equally, the school has limited resources across multiple areas including weak provision of books in English and Arabic, the effects of which are exacerbated by the school’s lack of significant ICT provision. The provision of Japanese equipment is, however, outstanding. 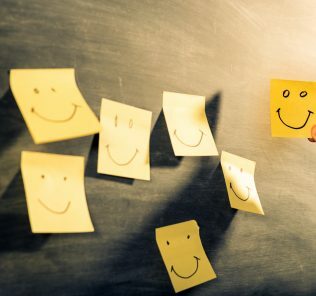 Like its Dubai counterpart, one fundamental issue with school improvement comes with the weakness of a system that requires the change of school leadership every three years. The result is that school planning effectively re-starts with each new Principal before it is able to achieve what is required. The cumulative effects over time are substantial given the age of the school. 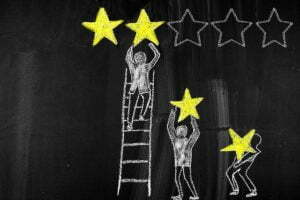 The limited role and fee structure make financially resourcing required improvement a further challenge. Our view? We are really struck by the investment of both Japanese and Abu Dhabi governments in the school. The joint Emirati-Japanese programme (one replicated in a number of alternative curricular Embassy schools in Abu Dhabi) offers extraordinary opportunities for students from both cultures and we think, notwithstanding the older, somewhat tired facilities, the fee structure makes this a real opportunity for Emirati students keen to develop an international education. It is exceptionally impressive that those Emirati students who do join the school have a clear, seamless path mapped out for them if they wish to move to Japan for higher education, including a number of generous competitive sponsorships provided by the Japanese government. 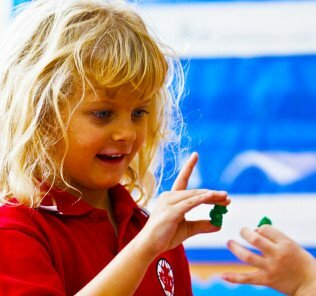 For Emirati families of linguistically gifted children in particular, the Japanese School in Dubai offers an exceptional opportunity – and one of the best-kept secrets in Abu Dhabi education. 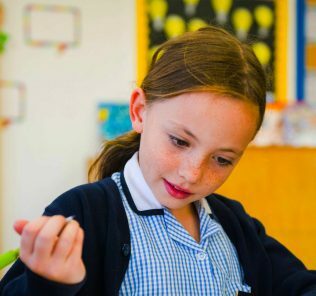 Equally, for Japanese students, there is much to commend an education that so powerfully and inspirationally integrates a sharing of languages and cultures – the quality of which at the Japanese School in Abu Dhabi puts other Tier 1 international schools to shame. Recommended.